Be the Best to Pass the Test! I consent to the information I provide being used for email marketing purposes. Learn all you need to pass the taxi driving test first time. Take our specially-designed two hour course — for just £65! The taxi assessment is completely different from the normal driving test. You might find it difficult to pass if you rely upon your existing driving experience alone. Quickly get the skills you need to become a taxi driver or to drive a private hire vehicle. Our on-road taxi training course will cover everything you need to know to pass your DVSA taxi test. Even as experienced drivers we all pick up bad driving habits which may lead to a test failure. Your instructor will identify areas where your driving can be improved to make sure you pass your private hire test first time. Two-thirds (67%) of current driving licence holders would be likely to fail if they took their practical test again today. 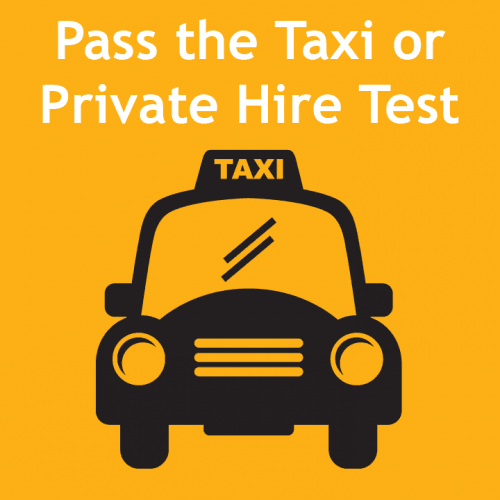 So speak to us before you book a taxi driving test — can you afford not to? Our course won’t be anything like the driving lessons you had when you learned to drive. Instead, we’ll prepare you for your role as a professional taxi driver where time is money. We’ll look at your driving from a passengers point of view — will they arrive at their destination in safety and comfort? This is how they’ll decide whether they tip you or not! We run our courses in Norwich, UK, as part of our local independent driving school. Our location is ideal for those who plan to become a taxi driver in Norfolk and north Suffolk. Our instructor Howard is a Grade A driving instructor and a DVSA Fleet Trainer. He’s spent years working with professional and experienced drivers from many blue chip companies. Howard also holds the RoSPA GOLD advanced driver standard and is a member of the Institute of Advanced Motorist (IAM). Don’t have your taxi yet? Use our car instead. We charge just £65 — cheaper than renting a hire car for the day. Get a Little Help From Us — For Free! Simply click the button below to send us your details and in return we’ll send you your free Cabology Questions and Answers guide. Get Your Free Cabology Guide! Just fill out your details below and we’ll send you our Cabology Questions and Answers — completely free. Or simply call us today on 01603 957 097.